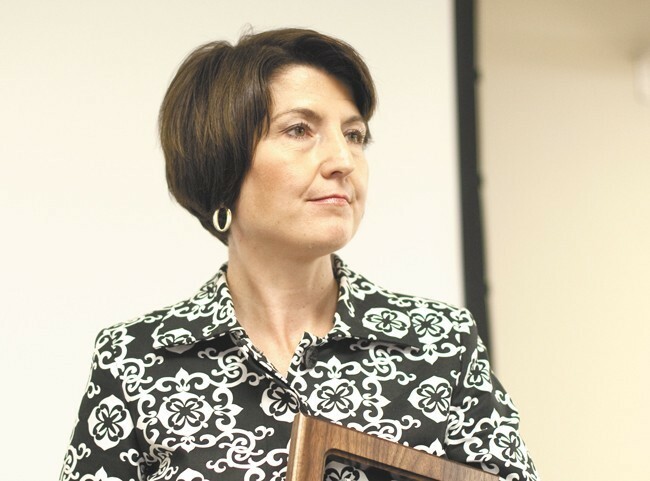 Earlier this year, the Spokesman-Review asked Cathy McMorris Rodgers, her rival Lisa Brown and all the other incumbents in Washington and Idaho delegations representing the Inland Northwest to release their tax returns. And initially, to her credit, Rep. Cathy McMorris Rodgers was the only one to agree. Lisa Brown later released her tax returns, but only after she heard McMorris Rodgers was releasing hers. But that aside, Spokane GOP statement was fascinating for the context it left out: Since after Gerald Ford, every single presidential nominee from a major party has released their tax returns. But Donald Trump, despite repeatedly promising he would release his tax returns, refused. Do you think there's something he doesn't want voters to know? So when we got a chance to interview Rep. Cathy McMorris Rodgers earlier this month for this week's cover story, we wanted to know: Should Donald Trump put out his tax returns? INLANDER: You recently put out your tax returns. There was kinda an element of transparency there — you actually beat Lisa Brown on that. Do you think Trump should put out his tax returns as well? CATHY McMORRIS RODGERS: That was a personal decision for me. I did it, because I do support transparency. President Trump has made his own decision. Do you think he should put out his tax returns? I think he should always be as transparent as he possibly can. I remember during the campaign, he said he wanted to wait until after the audit was done of his tax returns. Right. So what's the holdup? Should he put out his tax returns? Well, if the audit is done, I would encourage him to be transparent. Okay — I guess it seems like you're dodging the question, and I guess I'm trying to — what are you saying there? What am I saying there? I want — Daniel, I want to lead by example. And for me, putting out my tax returns I thought was an important step in being transparent. The president — we all have to file financial disclosure. Here we go: If I were advising him, I would say release your tax returns. With the exception of Mother Jones' David Corn, most media outlets have largely abandoned their quest to push Trump to release his tax returns. But it continues to be an important issue, for a lot of reasons. Nothing prevents Trump from releasing his tax return because of an audit. His complete tax returns could tell us a lot about his history of charitable contributions — or lack thereof. It would illuminate some of his financial ties to foreign governments. Most crucially, it would show us just how much he would have benefited from the big tax cut that McMorris Rodgers championed. From what we do know about Trump's financial situation, he stands to save millions of dollars from the cut, particularly because of the last-minute provisions that give special favors to owners of pass-through businesses like Trump's. It's notable that McMorris Rodgers, the fourth-ranking Republican in the House of Representatives, says she would advise Trump to release his tax returns. But unlike most of us, as a congresswoman, she has the power to push for laws that would actually force him to do just that. She's not willing to go that far. In fact, McMorris Rodgers has consistently voted against bills that would have mandated releasing the president's returns. Show us your cute pets for a chance to be in the Inlander's first Pet Issue! Can the wealthiest U.S. president ever help the poorest U.S. citizens?